You’ve worked hard for your money. Hey, maybe you’ve gathered a tidy sum. First off… good for you!! Second, you’re gonna want to protect it. Putting it in a tax-deferred savings or retirement account is a good start. Try to take a chunk out today (or any time before the date set for their release into your hands) and see what happens. You could be penalized. Is there a way to avoid taxes and penalties? How about putting your money into real estate instead? You can do that using your retirement account, but you have to put it in a Self-Directed IRA first. And that’s just one way to protect your wealth through investing in real estate! Truth is, investing in rental properties makes a whole lot of sense as a way to PROTECT your wealth. Here are five top reasons why that’s true. 1) You are investing in real and tangible assets that appreciate over time. There are ways to make that appreciation happen.There are several ways to produce appreciation, but you really only have control over 3 of them: Found, Forced and Phased. FOUND – Investing in undervalued properties means you have FOUND appreciation right off the bat. Good for you! That means you did your research and spotted a treasure that others overlooked. Excellent! I mean really awesome. You can wholesale the property, put a bit of lipstick on the pig and flip it for profit, or you can buy it and hold onto it as a cashflowing investment property. That’s exactly what happened in my first buy-and-hold deal. I still get a rent check every month. Yes, I still have this property and I’m gonna keep it, cuz the cashflow is good. FORCED – You can FORCE appreciation by making minor (or sometimes not so minor) improvements to a property that makes its value go up. Over time you will get better at assessing what’s needed to make a property go up in value. It could be a bit more curb appeal or it could mean a whole lot more. You can roll the costs into your deal when you have a solid idea of the costs of rehabbing involved. PHASED– Let’s say the neighborhood is undergoing positive changes, like a new school being built or a nice mall is being planned for the area. You can find out about such plans by getting to know the folks in the city’s planning department or talking to the people in the neighborhood. When you spot the trends, jump on the opportunity. It could mean more to you in appreciated value than you ever dreamed. 2) You get tax benefits when you provide housing. These benefits will vary state to state, and because I’m no tax expert, I can’t give you actual advice here. However, I can say that my CFO and tax advisor have worked with the city of Memphis where I own a few apartment buildings. 3) You get to deduct expenses related to improvements of your investment properties. Again, this is not an area I manage in my business. I have people for that, but I can tell you that there are expenses and a whole lot of deductions when rehabbing a property. Also, there is depreciation that your tax professional can take over a period of time… like about 27 years for residential properties and longer for commercial properties! Where else can you find that type of annualized depreciation? This is something I go over a lot in my weekly Q & A sessions that are available only to Cashflow Core Members. However, you’re in luck, cuz I happen to have a video on the subject. Click into it below. 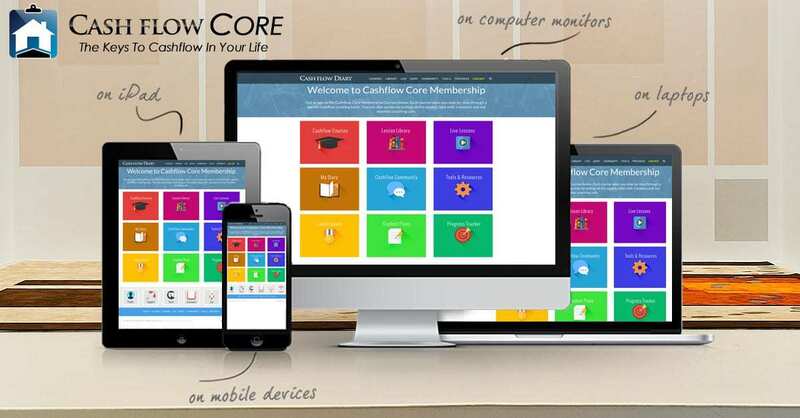 4) You can pass the cashflow to the next generation. If you are an elderly individual, you may be thinking about passing your assets on to loved ones. Wouldn’t you rather arrange a legacy plan that involves passing on a cashflow-producing property to your loved ones over leaving them a finite lump sum of cash? That is like the difference between a pile of cash and streams of income. Which one will last longer? With cashflowing investment properties, you can give a gift that keeps on giving in the form of rent checks. If you have property management in place, which you should because you should not be the one handling that part, leaving investment properties to the next generation is a really, really good thing. But be prepared. Sometimes kids don’t want to take on your properties. If that’s the case, I promise you that there are lots and lots of people who would be happy to buy them from you. If you are willing to work directly with the buyers, even better! It behooves you to educate your offspring about the benefits of owning investment properties that cashflow month after month. 5) Using a Self-Directed IRA, you can invest in all sorts of properties and defer the returns. This tax-deferment strategy is something to discuss with your tax advisor and attorney. However, because it is self-directed YOU direct where your money goes regarding investments. In this arrangement, you personally do not earn the profits from the investments. Your IRA does. This wealth-building and wealth-protection strategy is used every day by lots of people just like you. Think about it. Would you rather someone else direct your investments and charge you 2% or even 4% so your returns are 1/5% or if you’re lucky 3.5%…. or would you like to have the benefit of your IRA earning the full percentage, which you gain access to when you retire? Investing in Real Estate via your Self-Directed IRA a great way to protect your wealth and add a lot more gold to your golden years! There are definitely rules you need to know before you take this route. But there are also companies set up to help you do it the right way. 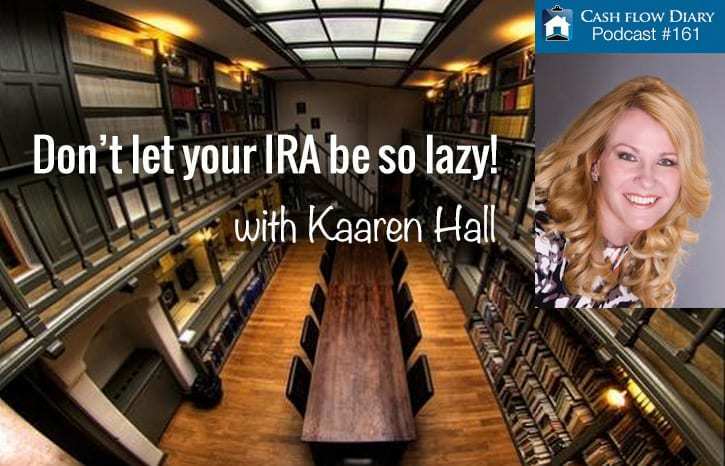 Here’s a podcast you should listen to if you’re ready to shift your retirement funds to a self-directed IRA so you can participate in deals and earn impressive returns! The long and short of why people get involved in real estate investing is because there are so many ways to earn an income from their activities. There is lots of free education to get you started here on this site. Start with reading all the great articles; listen to the podcast; take a course or two. CFD 308 [REPLAY 124] – How Flexible Are You? CFD 309 [REPLAY 123] – Marketing: Another Necessary Skill Every Entrepreneur Needs to Develop!